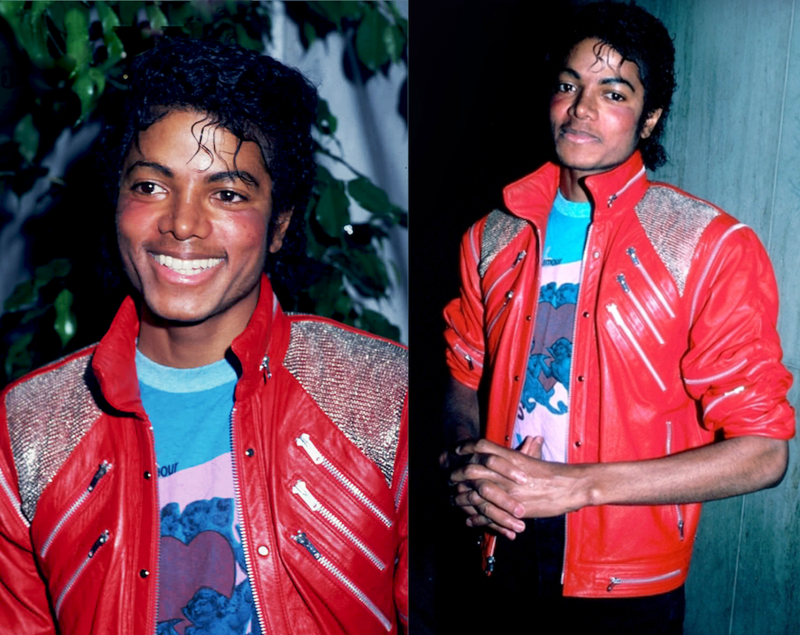 When thinking about the Michael Jackson “Beat It” video, the first thing that pops into most heads is the famous red jacket he wore. 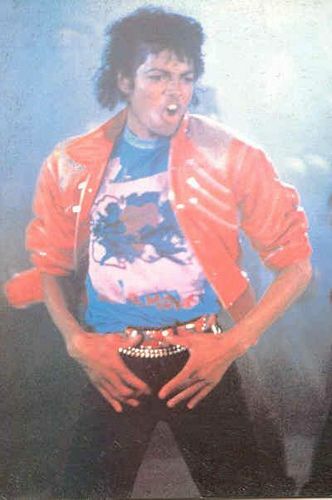 In typical feelnumb.com fashion, we decided to do a story about the shirt MJ wore under the famous jacket instead of the famous jacket. 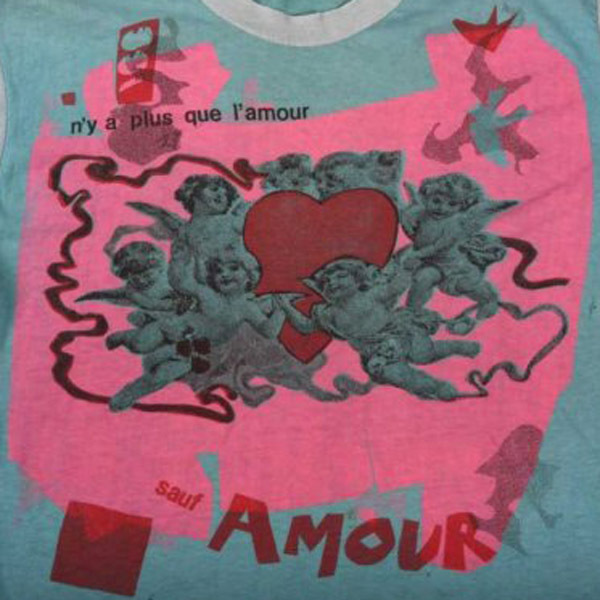 The translation according to a translation website says “There is more than the love / except love“. If any readers out there speak and read French please confirm this translation. 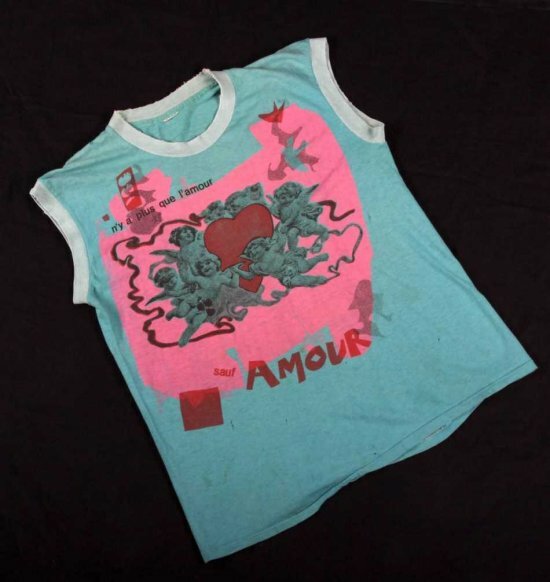 The final winning bid for the famous t-shirt was $20,740. I’d buy it if I had the cash.